Long before Keith Olbermann took up as a full-time Donald Trump excoriator, he was a hockey fan and reporter, an analyst and student of the game — a hockey maven, even, as he’s said himself. Like Ken Dryden (and Gary Bettman), he’s a Cornell graduate. Olbermann, who’s 58, was at the 1980 Lake Placid Winter Olympics where he saw Herb Brooks’ young, implausible United States team overthrow Viktor Tikhonov’s heavily favoured squad from the Soviet Union. 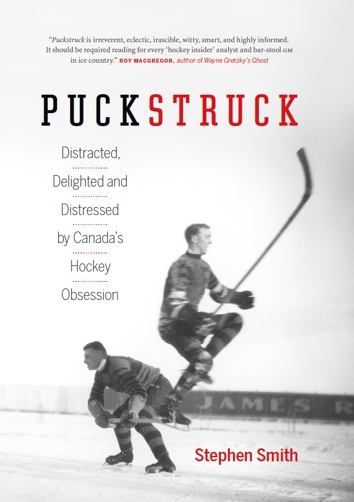 If you haven’t seen Olbermann in full hockey flight, paying tribute to Jean Béliveau, or decrying the foolishness and bad history perpetrated by those who celebrate the NHL’s Original Six, then go and see that now — we’ll wait. Olbermann’s broadcast career includes, of course, his years with ESPN’s SportsCenter in the 1990s. Since then, he’s talked baseball and football and everything else on CNN and Fox Sports Net. From 2003 through 2011, he hosted Countdown on MSNBC. In 2016, he launched a new political show, The Closer with Keith Olbermann, on GQ.com. It got a new name (and vehemence) after Donald Trump won the 2016 U.S. election: The Resistance. Olbermann’s books include The Worst Person in the World (2006) and Pitchforks and Torches (2010). His latest, published earlier this fall, is Trump is F*cking Crazy (This is Not a Joke). My first game — memory, and Hockey Reference tell me — was October 19, 1969. 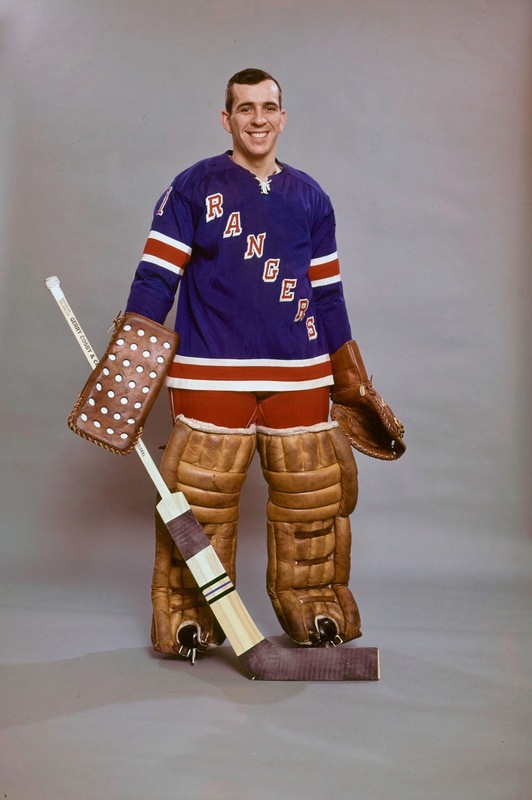 Vic Hadfield had a phantom goal waved off in the first and then seconds later scored on a power play and despite 43 other Ranger shots, that was it. Eddie Giacomin became my eternal hero, and neither he nor Bruce Gamble wore a mask. It was only the second home game of only the second full season of the Rangers in what us old-timers still call “the new Garden,” and the subway trip there cost 20 cents. This was part two of quite a dad/kid week for me. Four days earlier my father had gotten two tickets to Game Four of the 1969 World Series and in addition to the thrill each game represented, it occurs to me only now that these may have been the first two sporting events I ever attended in which the buildings were full. There was something just as awe inspiring about the 17,000 packing the Garden as the 57,000 at Shea. I had been a Rangers’ fan for about a year to this point, but only on TV and radio. It amazes me that my main conduit was Marv Albert and he was in his radio gondola that night, and I visited with him at MSG the last game I saw during the playoffs last spring! I would soon get the whole back story of my mother and her Uncle Willie going to one of the games of the Cup Finals of 1940, and before that, New York Americans games. And I would shortly understand the disappointment built into being a Ranger fan. My second game was early the next month against the Blues and I couldn’t wait to get there because I knew I was going to be able to say I saw either Glenn Hall or Jacques Plante play for St. Louis. And who did they start in goal? Ernie Wakely.